Duke University Medical Center researchers are advising men to abstain from using cannabis for at least six months before trying to conceive a baby. The advice comes on the back of newly reported research suggesting that the drug causes epigenetic changes to sperm that could feasibly impact on embryonic viability or growth. 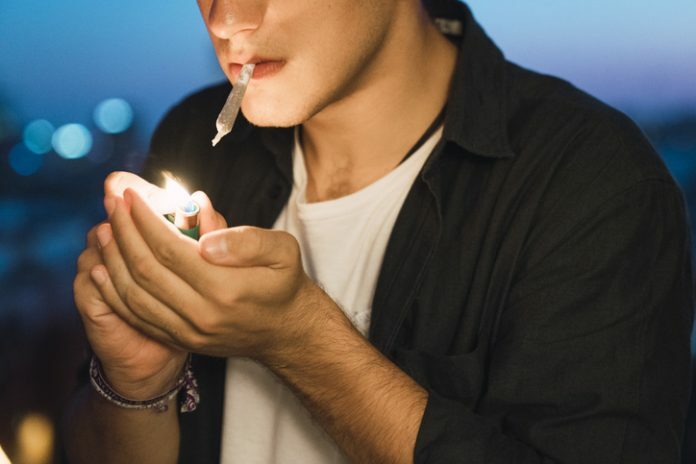 Cannabis use is now legal in some form across more than 50% of U.S. states, with National Survey on Drug Use and Health figures showing that in 2015 nearly one-fifth of U.S. males aged 18–25 years reported using the drug within the last month. The new studies in men and rats, reported by the Duke University Medical Center team, found that cannabis use, and in particular its psychoactive component, tetrahydrocannabinol (THC), is associated with extensive epigenetic changes in sperm. The results, reported in Epigenetics, indicated that while THC may impact on hundreds of different genes in human and rat sperm, many of those affected were associated with two molecular pathways involved in growth during development, and final organ size. And both of the pathways can become dysregulated in cancer. Epigenetic changes to the genome, including DNA methylation, have been implicated as a potential mechanism that might underpin any heritable effects of preconception cannabis exposure, the authors continued. What isn’t yet well understood is whether cannabis use alters the epigenetic profile of sperm in human men. “Because sperm maturation is a continual process throughout the adult male’s life, exposures like cannabis could have an impact on the integrity of the sperm methylome, with implications for heritability of such alterations by subsequent generations,” the team noted. The researchers used reduced representation bisulfite sequencing (RRBS) to compare sperm methylation profiles among 24 human cannabis users and non-users. Cannabis users were defined as men who smoked marijuana at least weekly for the previous six months. The results suggested that cannabis use was associated with changes to the methylation status of thousands of CpG sites, and in particular, those associated with genes involved in the Hippo signaling pathway and in pathways in cancer. The higher the THC concentration in participants’ urine, the greater the genetic changes to their sperm. The data also indicated that cannabis users had lower sperm concentrations than non-users.